Special cruise travel insurance is preferable because cruise vacation is in many ways very different from other holidays. Cruise vacation is the ultimate “get away from it all” holiday, and the “away from it all” has a significant meaning here. If you get seriously ill on board a cruise ship in the middle of the ocean, you might require emergency air medical evacuation that can easily run into tens of thousands of dollars. Having no, or inadequate, travel insurance could therefore have devastating financial impact for you and your family. Why You Need Travel Insurance, Cruise Or Not? You should always take out travel insurance when you are travelling, cruising or not. You are taking big financial risk by not having adequate travel insurance in place. Not only that - many cruise liners do not allow you to travel without having valid travel insurance for the entire duration of your cruise. You should therefore ensure you can get adequate coverage health insurance travel prior to booking your cruise. It is usually required that the insurance cover includes some minimum medical and repatriation cover (e.g. £2 million in the case of P&O cruises) and include pre-existing medical conditions as well. You might already have annual multi trip travel insurance policy in place and assume it will cover your cruise vacation as well. Do not assume anything - do check your policy carefully. If you are not sure, ask your insurance provider directly. The most important question is... if you get seriously ill or injured and hospitalized in a foreign country, will your insurance pay for air medical transportation back to your home country? If the answer is yes, request written confirmation to take with you on your cruise (just to avoid any misunderstanding later on). However, if the answer is no, you should consider purchasing supplemental travel medical insurance. Top Travel Tips offers advice on how to Save Money On Travel Insurance. It is though important to realize that the cheapest travel insurance is not always the best choice for you. You must always consider the insurance cover as well as the price. Special cruise travel insurance has also many more benefits so if you need to buy new travel insurance for your cruise, you should consider an insurance provider that specializes in travel insurance cruise. Or Injured On Board A Cruise Liner? All the larger cruise liners have some form of a medical center on board and some medical staff. For example, P&O cruises usually have a senior doctor, doctor and three nurses on board but it does though vary depending on the size of the ship. Bear in mind that medical treatment on board is private care and charged for accordingly. Important to know though, the medical centers on board usually operate as independent contractors so the cruise lines have no liability if you are dissatisfied with the treatment. The medical center has various facilities but they are not equipped to handle serious illnesses. Therefore, if you become seriously ill, you will have to be taken to a hospital. It makes life much easier (and cheaper) if you are lucky enough to be in port when you fall ill. On the other hand, if you are out at sea you might have to be airlifted to the nearest hospital. Emergency air medical evacuation can easily run into tens of thousands of dollars, so this is where your cruise travel insurance becomes vital. Comprehensive insurance cover will get you into the best hospital in the region until you can be moved to a hospital in your home country. Without adequate travel insurance cruise you will either have to fork out thousands of dollars to get back home or be taken to the nearest local hospital, which might not be of the standard you prefer. You might still end up paying substantial amounts for medical treatments. Your cruise liner will assist you as possible under the circumstances but any expenses that are reasonably incurred by the cruise liner are repayable by the passenger... whether such sum is covered by the passengers travel insurance or not. This is why saving money on cruise travel insurance is never worth the risk. We cannot stress enough the importance of comprehensive emergency air medical evacuation cover when on a cruise. 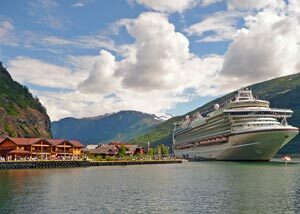 There are however other important factors, which your cruise travel insurance should ideally include. Cruises tend to be luxury vacation and therefore usually not the cheapest of holidays. Most people also book their cruise well in advance and usually substantial deposit is required. Furthermore, to get the best prices, many pay for the whole cruise months (even a year) in advance. Many things can change with short notice so you will defiantly want good cancellation cover in your cruise travel insurance, i.e. should anything prevent you from taking the cruise. Whatever it is illness in the family, some work related reasons, or something else. Generally cruise travel insurance include everything that a standard annual multi trip travel insurance include, like cover for medical expenses, lost or stolen personal possessions, personal liability, personal accident, legal expenses, etc. In addition, most also include, or allow as optional extra, some cover that especially relate to cruising, like departure delays, missed departure, abandonment, cabin confinement, curtailment, etc. Most cruise liners offer their own travel insurance cover, or through their partners. They can be good value, but as always, read the policy cover carefully, as some of them offer more limited cover than similarly priced coverage you can buy on your own - for example, they usually do not cover their own financial default. There are many third party travel insurance companies and it is easy and convenient to search them online. 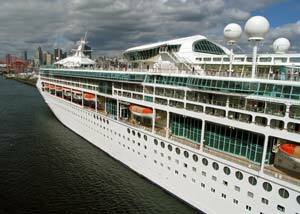 There are even annual multi trip travel insurance cruise policies available for frequent cruise travelers. As always with insurances, read the policy cover carefully and remember to compare both prices and the coverage health insurance travel offered. Do not forget to consider the excess as well. Also, make sure your policy is underwritten by licensed and reputable insurer (insurance companies are regulated by state insurance departments). To take full advantage of any travel insurance cruise policy you should purchase it at the time you make your initial cruise deposit. This is so you do not miss out of any important benefits, like the waiver of the pre-existing conditions clause. Without this waiver your insurance company will not cover any pre-existing conditions during the defined amount of days prior to your cruise (number of days varies between providers but commonly between 60 to 180 days). With the waiver you are covered up to defined amount, but it is usually restricted to taking out the insurance within defined period. Travel Guard for example offers pre-existing condition waiver if the plan is purchased within 15 days of initial trip payment. Another reason for purchasing your cruise travel insurance early is that you cannot cover events that are already known to happen. For example, you cannot buy travel insurance to cover you for the effect of a hurricane when the weatherman has already forecasted it. However, you would be covered if you bought your insurance prior to the formation of the hurricane (assuming your insurance covers hurricanes in the first place). Ps. 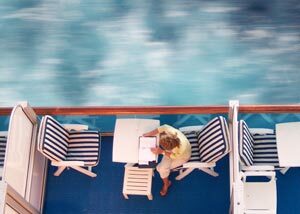 many things affect the price of your cruise travel insurance. Some of them you can control, like where you are going and for how long. Other factors you have less control over, like your age and your health. Being aware of which factors affect the Price Of Your Travel Insurance will help you to find the right travel cover for you and at the best price.